It is that time of year again Sports Fans. Time to call off of work on a Thursday, order a party sub just for yourself, and watch college basketball for hours on end. March Madness is here! Time to find out if Zion Williamson is going to go out a champ, cheer for Cinderella, and celebrate when your hated rival loses. Oh—and for 47 million Americans it is time to put a little money on the game. According to a survey by the American Gaming Association, approximately 47 million Americans are going to wager a total of $8.5 billion in some way, shape or form on the NCAA Tournament this year. Of those 47 million people, 18 million are expected to bet $3.9 billion at a sportsbook (4.1 million people), online (5.2 million people; primarily at illegal offshore sites), with a bookie (2.4 million people), or with a friend. The survey also said that around 40 million people are expected to wager $4.6 billion on a total of 149 million brackets. “During this year’s tournament – the first in post-PASPA America – sports fans are expected to bet 40% more than they did on this year’s Super Bowl,” said Bill Miller, AGA’s president and chief executive officer, via a statement (PASPA was the federal ban on sports gambling). Last year, for the Super Bowl an estimated 23 million people wagered $6 billion on the big game. With Williamson’s popularity this season, it comes as no surprise that man fans have already chosen to put a wager on Duke. 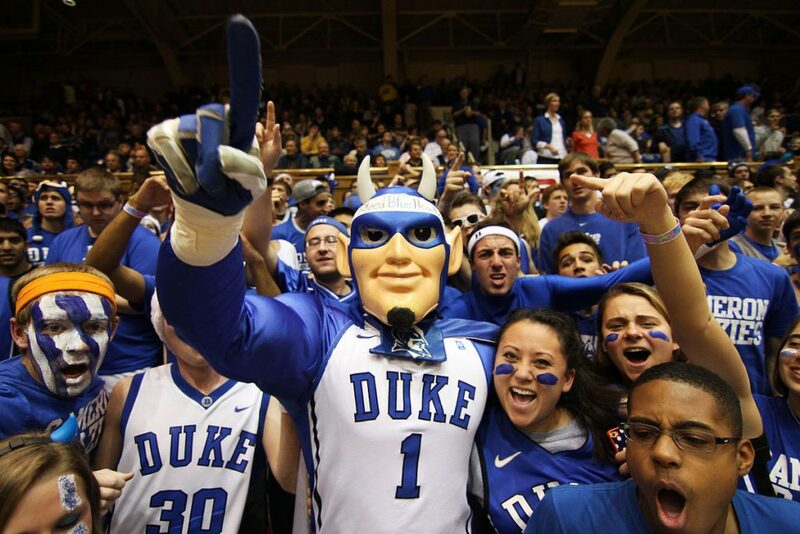 According to the William Hill sportsbook, 19 percent of wagers picking a tournament winner have been on the Blue Devils. But the Blue Devils wouldn’t just kill a lot of wagers if they were to lose, especially if they did so early on in the tournament. In the hours immediately following the Selection Show on Sunday, 1.3 million brackets were filled out. Of those brackets, 53.9 percent chose Duke as the eventual national champion. Outside of Duke, according to the AGA’s survey, fans are picking Gonzaga to win it all followed by North Carolina, Kentucky, Virginia, and Michigan. A No. 1 seed has won it all in 20 of the last 34 tournaments, so the odds are definitely good that at least one will make it. But with the caliber of teams in the No. 1 seeds this year, two sounds like a safe bet.